BY HANS CRISTIAN HANSEN (1803-1883) A Danish architect and older brother of Theophil Hansen, he worked in Greece for 18 years, during which time he designed the original main building for the University of Athens. BY THEOPHIL HANSEN (1813-1891) An outstanding representative of neoclassicism, the younger Hansen became particularly well known for his buildings in Vienna and the Greek capital, including the National Library and the Academy of Athens, widely considered the most beautiful neoclassical structure in the world, and for completing the so-called “Neoclassical Trilogy” that had been started by his brother. BY LYSANDROS KAFTANTZOGLOU (1811-1885) Born in Thessaloniki, Lysandros Kaftantzoglou studied in Rome where he received several prestigious awards. In 1833, he was among the winners of the Academy of Milan’s international architectural competition. He also studied, and distinguished himself, in France. Back home in Greece, he served as director of the Royal School of Arts, forerunner of the National Technical University of Athens, from 1844 until his resignation in 1862. 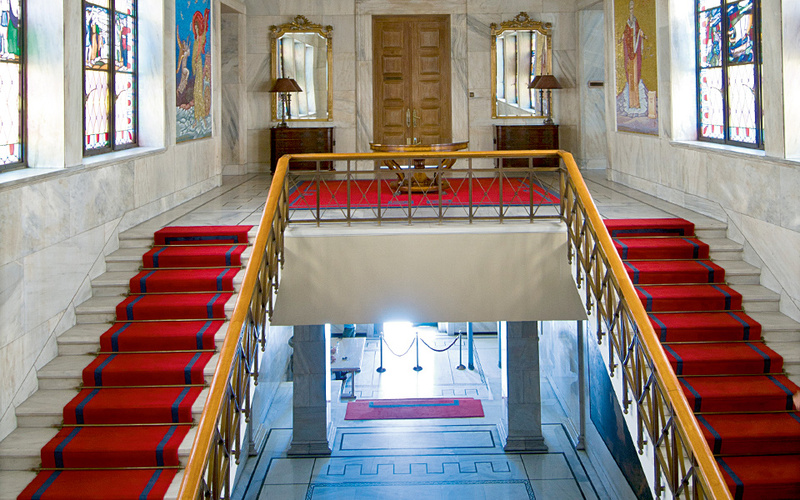 Kaftantzoglou designed many magnificent neoclassical buildings, as well as the Arsakeion School, the churches of saints Irene, Constantine and Dionysios, and more than 15 private buildings in Athens. BY PANAYIOTIS “PANAYIS” KALKOS (1810-1878) A Greek neoclassical architect, his most important works include the first Acropolis Museum on the Sacred Rock, built between 1865 and 1874, the Amalieion Orphanage and Athens City Hall. His finest work, however, and certainly one of the city’s greatest architectural losses when it was demolished in 1956, was the Varvakeio Lyceum, founded between 1857 and 1859 under the patronage of Ioannis Varvakis, a wealthy member of the Greek community in Russia. The Varvakeio initially housed two high schools and later the Lyceum, which placed greater emphasis on practical and technical learning. BY ERNST ZILLER (1837-1923) The Saxon architect – later to became a Greek national – who arrived in Athens in 1861, at age 24, to supervise construction of the Academy of Athens, was also a painter and an avid scholar of ancient history. He studied architecture under Theophil Hansen and was intimately familiar with his work. 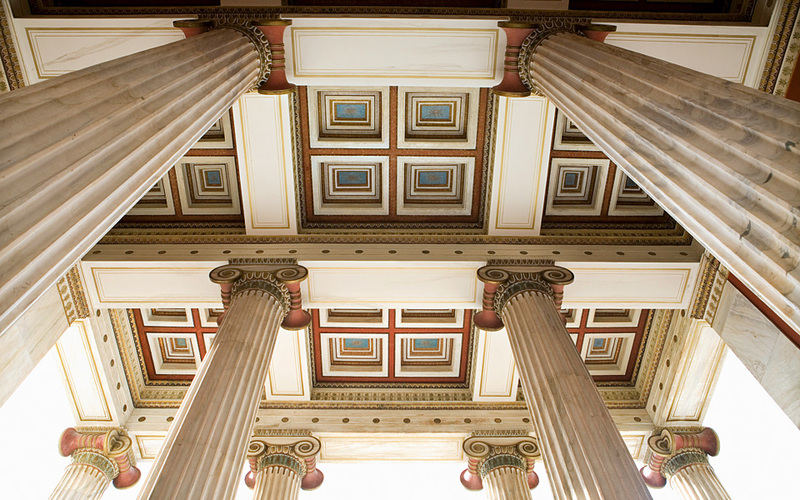 Ziller went on to design over 900 buildings in the Greek capital. As an archaeological excavator, Ziller uncovered portions of the ancient stadium of Herodes Atticus, reconstructed in 1895 and known today as the Panathenaic Stadium. He also excavated and recorded the Theater of Dionysus. Ziller was among the first to notice that ancient buildings and sculptures were originally colored. Although he developed a highly personal style, it was based on neoclassicism, with evident Byzantine, Renaissance and northern European influences. BY EMMANOUEL VOUREKAS (1907-1992) A prolific designer, well as one of the most controversial Greek architects of the 1960s, Emmanouel Vourekas is the man responsible, together with Prokopis Vassiliadis, Spyros Staikos and Antonis Georgiades, for the Athens Hilton Hotel. 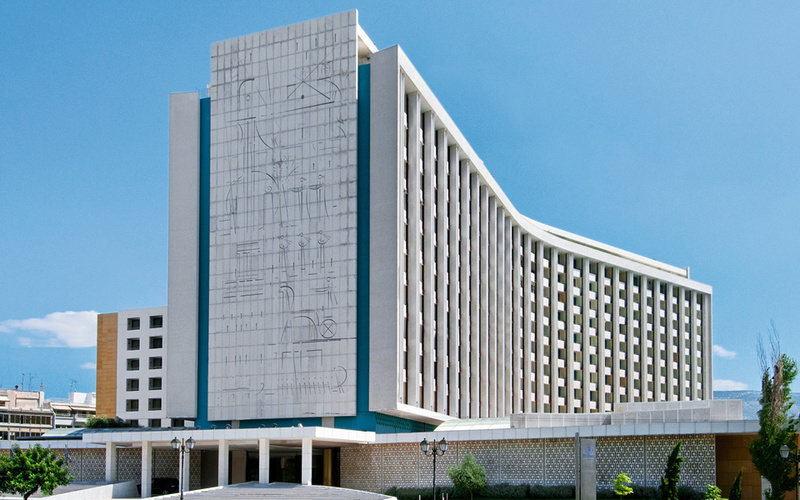 Conrad Hilton himself hailed the building as “the most beautiful Hilton hotel in the world,” when he attended its 1963 inauguration. This majestic example of ‘prestige architecture’ marked Greece as a future luxury tourist destination. Nevertheless, many contemporary Greek architects looked down their noses at Vourekas’ building, even though they appreciated the artwork presented on the facade by Yiannis Moralis. In the end, with more than 200 projects to his credit, Vourekas’ influence on Athens, and the impact of the modernization that transformed the city in the late 1950s and 1960s, is hard to deny. BY WALTER ADOLPH GEORG GROPIUS (1883-1969) A German who lived in the US for much of his life, Walter Gropius was the founder of the renowned Bauhaus School. As an architect, he is considered to be, along with Ludwig Mies van der Rohe, Le Corbusier and Frank Lloyd Wright, one of the pioneers of modern architecture. 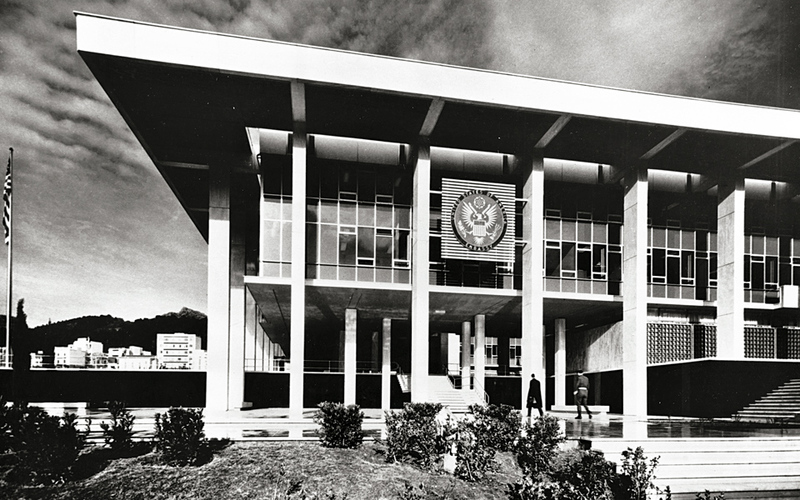 For Athens, Gropius is remembered as the architect who gave the city one of its greatest modern landmarks: the American Embassy, a collaboration with fellow architect Pericles A. Sakel-larios. The building has been granted protected status. Gropius’ design was typical of Bauhaus simplicity, inspired by the architecture of the Parthenon. BY STAMATIS KLEANTHIS (STAMATIOU) (1802-1862) & EDUARD SCHAUBERT (1804-1860) An architect, town planner and entrepreneur, born in Ottoman-occupied western Macedonia, Stamatis Kleanthis studied in Berlin (under Karl Friedrich Schinkel and others), where his German friends and teachers admired his diligence and work ethic so much that they renamed him Kleanthis after the ancient Greek Stoic philosopher Cleanthes of Assos, a student of Zeno, who supported himself by working as a water carrier. Kleanthis graduated with highest honors, returning to Athens with his friend and colleague Eduard Schaubert, where they offered their services gratis to Greece’s new leader, Ioannis Kapodistrias. Together they designed the city plans for Athens, Piraeus and Eretria. 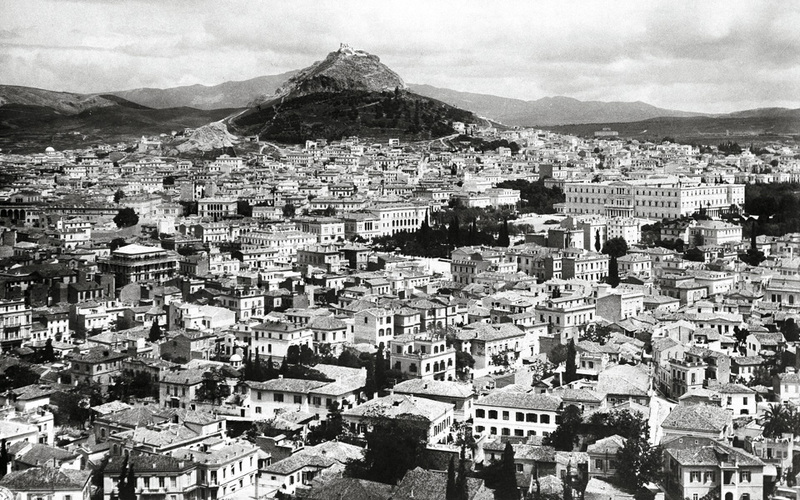 They also went to Aegina, where Kapodistrias was then living, to erect warehouses and hospitals. 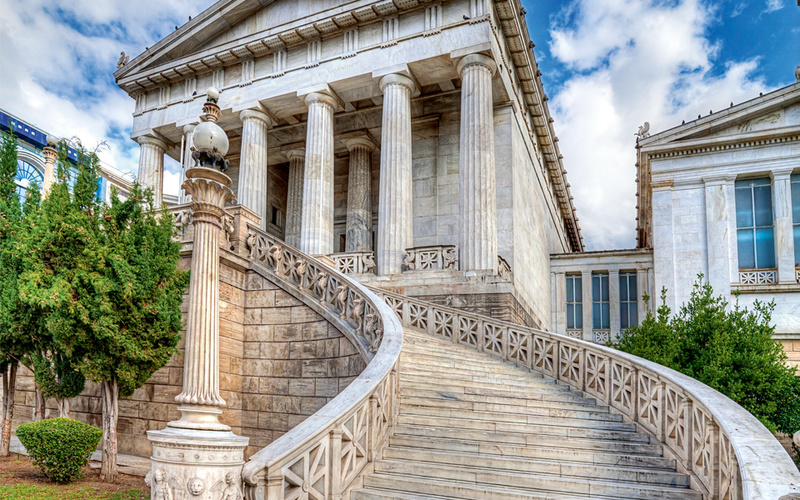 In 1831, they built a small residence in Athens, the “Little Acropolis,” which so impressed Athenians that they chose it to initially accommodate the city’s university in 1837. BY CONSTANTINOS APOSTOLOU DOXIADIS (1914Ð1975) Doxiadis was one of Greece’s greatest pioneers of modern architecture and city planning. Among his many achievements that earned him an international reputation, was his preliminary plan for the new Pakistani capital of Islamabad in the 1960s. He was a thinker who held a deep respect for nature and applied his philosophical views to his art, something which is reflected in his buildings. He is also considered the father of Ekistics, a field of architecture that takes a scientific approach to how settlements are constructed. At the peak of his career in the 1960s, Doxiadis addressed the US Congress on the future of American cities; his portrait appeared on the cover of Time Magazine; and his company, Doxiadis Associates, had contracts in over 40 countries. 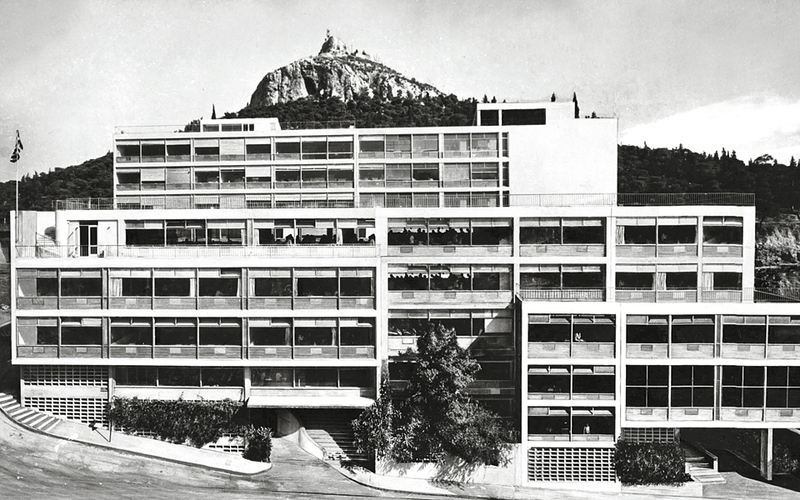 In Athens, one of his most renowned buildings is the Doxiadis Building, formerly his company headquarters – now transformed into the One Athens Housing Estate by the architectural firm Divercity, which preserved the building’s outer shell and the basic elements of Doxiadis’ philosophy. The entire concept for Athens was based on the principle of large city blocks with wide streets, squares and green areas, along with public buildings surrounded by free space. The plan was approved, but King Otto’s father, Ludwig I of Bavaria, had the extremely unfortunate idea of bringing in his court architect, Leo von Klenze, who, instead of envisaging a European capital of the future, believed he should create a medieval city of the past. Even worse was the disdain he showed for the city’s Byzantine monuments, many of which he planned to destroy. Thankfully, the entirety of his vision never came to fruition. However, neither did that of Kleanthis and Schaubert – an unfortunate development, as the absence of an ambitious plan capable of setting the foundations of the city and determining how it would evolve into the future is something that Athens is still suffering from today. 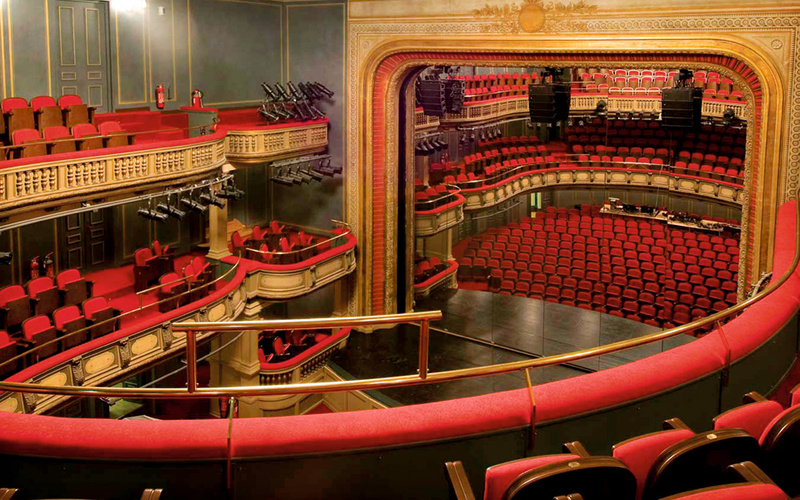 Nevertheless, a number of great architects have been able to leave their mark.